Knowledge of the sea ice is paramount to successful whaling by Iñupiat. 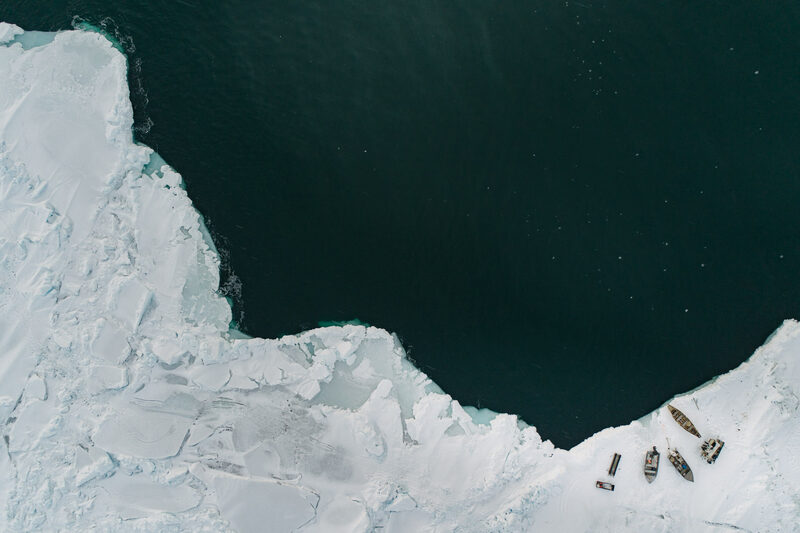 This aerial photograph shows the scale of sea ice environment where it meets the Arctic Ocean. Somewhere within this expanse of water, an umiaq, or skinboat, must intercept a bowhead whale within 2 meters.